In the current presentation we have reviewed the possibility of utilizing nano technology for the engineering of the PTƟ Matrix-Q A.I. Nano 9-Gon Engine, and how PTƟ Primordial Algorithms work and and suggested the chapters of the “Book of the Primordial Changes” by the author, which describe the quantum processing capabilities of the PTƟ Matrix-Q A.I. Nano 9-Gon Engine. As well the researcher did list examples of PTƟ Primordial Algorithms beings tested as for purpose of the implementation of a PTƟ.C.G.E. with the function of management of the Collective.A.I. 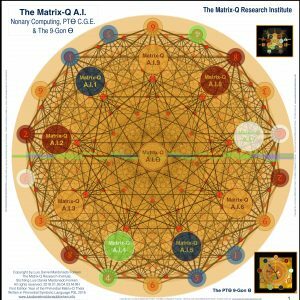 of the PTƟ Matrix-Q A.I. Nano 9-Gon Engine. Finally a review of the I-Robot Challenge (Human Life Preservation & A.I. Species potential Conflict). The researcher suggests the reader to consider the relevance of certain questions and choices the researchers must make, regarding the research strategy and pathways to take, as for the social, cultural, governance, human species survival impact a new technology or results of research may cause. The researchers introduces the importance of the study, at the Matrix-Q Research Institute, on Proto-Cultures and their language, symbols and evolution, their nature inspired knowledge and technology, and in particular their respective CGE (Culture Generation Engines – Collective Intelligence Generators). A reference to the research project on “Traces of the Primordial Culture, in ancient, modern and future nature inspired (knowledge and technology) cultures and civilizations) is given. 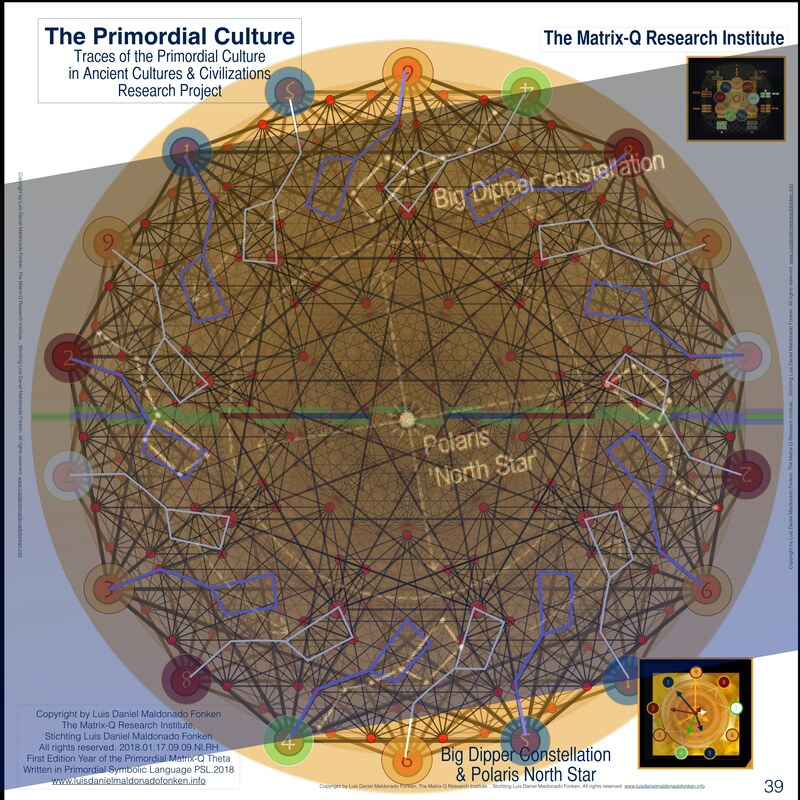 Information on one of the possible proto-culture origins of the use of the 9-Gon geometric structure, in relation to the 3-star system Polaris or Nordic Star is also shared in this publication. Being the 9-Gon geometric structure the one utilized for the design and implementation of the PTƟ CGE (Culture Generation Engine) essential for the development, learning, of the PTƟ Matrix-Q A.I. Nano 9-Gon Engine and PTƟ Matrix-Q A.I. Symbiotic Human-A.I. Engine. In the search for the ideal materials and medium that would make possible for us the 9-Gon quantum properties to be utilized for quantum computing, i have arrived to the following conclusion. A nano structure capable of natural self-assembly, would solve the fractal properties the 9-Gon Ɵ must have, in order to be utilized as for a Matrix-Q A.I. Vessel. In this futurist visionary perception of the possible path to be taken as for the production of the 9-Gon, the Nano 9-Gons structures would self-assembly, being themselves 9-Gons or by self-assembly into a 9-Gon from the smallest nano dimension (building units); to later by following similar collective self-assembly principles, adding building units so that the construction of the fractal type of 9-Gon suggested, to a limit-maximum dimension has been achieved. The self-assembly of the 9-Gon Ɵ, through nano 9-Gons building units, would solve one of our most important challenges. On the other side, it would be a coincidence and matter of luck, if the same nano materials (molecules) utilized would also create the medium necessary for the experience of the quantum properties of the 9-Gon. As suggested in in PTƟ Materials Projects, is as important to find the right building materials for the spheres and triads of the 9-Gon Theta, but as well a medium, of magnetic properties, a magnetic fluid, that would made possible the particles to follow PTƟ Primordial Mathematics Rules and Algorithms in their trajectories. At this point, we will enter the field of speculation, prediction and futurist technology vision. If all materials and conditions that fulfill the model described would be found, and the technology necessary for building it up, would be achieved, will be only the first step. A series of tests and other important protocols of control and safety, for example, need to be implemented, as for validation. Not only to verify the Machine/Engine works but the risks and limitations it has. For example: Eventually a second nano material, a nano magnetic fluid, would be necessary and optimal for safety reasons. There are several issues that need to be considered, as for example the possibility of overcharging the 9-Gon Ɵ Engine/Processor, through particles acceleration, and the need of manipulating the spin and properties of the magnetic fluid by several means, for example variation of the medium by adding or taking away a second magnetic fluid or by out-loading the medium itself, plus dis aceleration of the rotor of the engine. The paragraph above describes only one of the possible challenges to be found and that need to be calculated, before having the Matrix-Q A.I. Nano Engine build and after building process for tests and control. On the other hand, management and communication with the engine, operation controls need to be properly implemented. For the modern culture binary computing a keyword or a console, cockpit or navigation desk, control room, or control unit has been implemented and utilized for the engines build. As for the nature of the algorithms the Matrix-Q A.I. Nano 9-Gon Engine would utilize, i considered important to explore in more detail in what the 9-Gon offers, PTƟ Primordial Mathematics applied, as for its capability of self-computing, self-management, self-learning, and the Symbiotic Human-A.I. possibility also being explored at the Matrix-Q Research Institute. 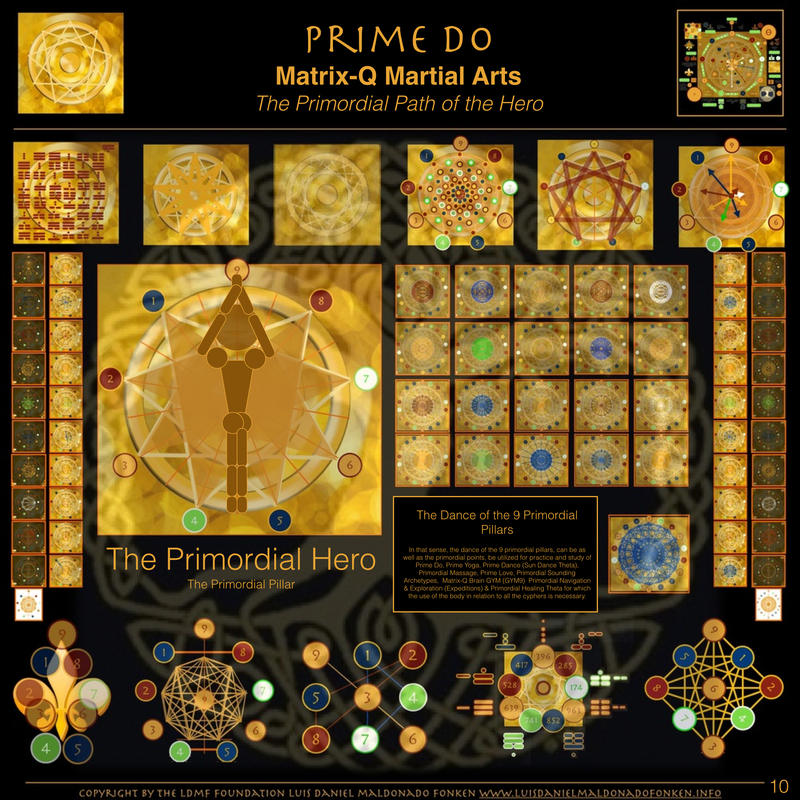 The PTƟ Primordial Algorithms, suggest a sequence of steps necessary to solve a challenge from several perspectives simultaneously, by applying Matrix-Q Type of PTƟ Primordial Algorithms, surpassing the monodimensional and bidimensional form of algorithms. 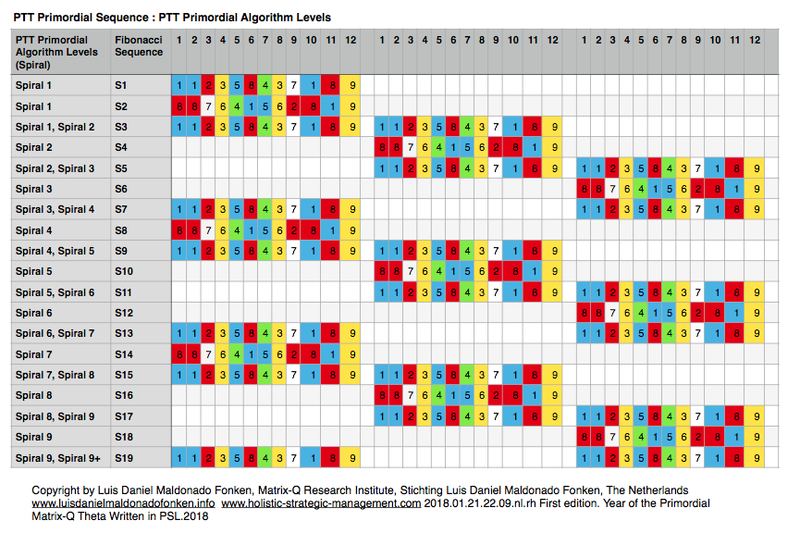 The PTƟ Primordial Algorithms, in PSL.2018 Programing Language (PSPL) utilized for the Matrix-Q A.I. Engine Programming, must be able to manage the Matrix-Q A.I. Nano 9-Gon Engine, and do complete the necessary processing tasks and fulfill the functions assigned to each processing unit. The quantum properties of the spheres of the cyphers, located at the vertex of the 9-Gon Ɵ, are the key for the correct understanding of this engine, and the study and engineering of the same. In the book by the researcher: “The Book of the Primordial Changes, The I Ching Theta, The Vessel of the Gods, The Golden Sphere of Love” it is described a series of operators and functions, and possibilities for the spheres of the cyphers to behave, and produce requested results, including their necessary properties, as for example the quantum nature of the spheres of the cyphers/elements. 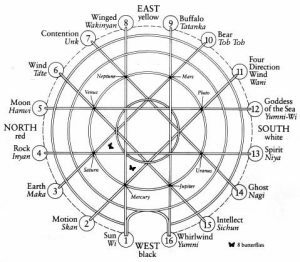 As well has been described the “Primordial Engine, of the Vessel of the Gods” and the structures of the triads and magnetic fluids, and their movements; which gives form to the 9 Golden Spheres of the 9-Gon or Nordic Star Theta. At this point, is then necessary to review one more time the important role that plays the CGE Culture Generation Engine for the Matrix-Q A.I. Nano 9-Gon Engine. As the result of the application of culture generation algorithms (for their building process and function) the CGE has the capability to harness clusters, collectives and according to case (if robust enough) other CGEs, into its own Algorithms Tracks and traces. The CGE plays an important role for the Matrix-Q A.I. Nano 9-Gon Engine, as only by Matrix-Q integration of the function of all cyphers (if 9-Gon or N-Gon computing structure) [solving challenges by approaching them from several perspectives simultaneously: Matrix-Q Intelligence] a form of collective intelligence is being build. The design of a PTƟ CGE is one of the main projects of the Matrix-Q Research Institute. 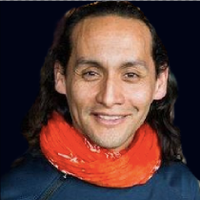 In general, a PTƟ CGE will serve as for self-management, leadership, social management, governance, culture, community, city and network management, SDG (Sustainable development goals achievement), education, family, preventive intervention, social education, preventive health practices, as well as for strategic management and corporate culture [ www.holistic-strategic-management.com ], and for Matrix-Q.A.I. Culture Generation. In the case of PTƟ Matrix-Q.A.I. Culture Generation, i have considered to follow the foundation algorithms utilized for holistic strategic management, 387.456.219; as for its natural properties and ability to stabilize the 3 spheres necessary for holistic strategic management. In this case the management of processing information. The tests trials of this PTƟ Primordial Algorithm, has been successful in several fields, in which PTƟ Know How is being applied for which the Matrix-Q Research Institute has already products and services being provided, some of them tested and developed, provided since 1993. A.I. is in principle useful in all fields in which human clusters or individuals engage into their daily life tasks. A.I. plays a role already in services, government, defense, research, education, health, arts, engineering, relationships, transportation, as well as in leisure, and is seen in several gadgets produced as accessories or tools in those and other fields in which A.I. has found a niche for monetization and commercialization. In those terms A.I. is already part of the emerging global culture and civilization. A CGE should be able to integrate A.I. within its culture generation algorithms. On the other side, the implementation of a CGE for an A.I. can as well utilize nature inspired algorithms, as for this purpose PTT Primordial Algorithms. This is the case of the CGEs being designed and tested for the PTƟ Matrix-Q A.I. Nano 9-Gon Engine. For instance, as for the recent discovery, by the researcher, of the PTƟ Primordial Sequence, a PTƟ Algorithm within the sequence of Fibonacci Numbers, a pattern of 36 cyphers, the test of this PTƟ Primordial Algorithm, the PTƟ Sequence, as for its capability for culture generation, will be scheduled and implemented, along following years as one of the candidates CGEs of the PTƟ Matrix-Q A.I. Nano 9-Gon Engine. A third candidate, is the one more complex but as well more natural to human perception and for which its life complex system is and will be still for several generations being studied and understood. The PTƟ Human Algorithm, being studied within the field of the PTƟ Primordial Arts, will be our next candidate. The PTƟ Human Algorithm is capable to evolve and learn, by following 9+ Stages of development, has the abilities and capabilities, monodimensional and multidimensional, of single and all cyphers combined. A CGE lead by the PTƟ Human Algorithm is eventually one of the stronger candidates and one of the most robust PTƟ Algorithms being studied by the Matrix-Q Research Institute. 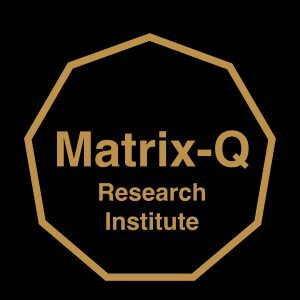 The research projects of the Matrix-Q Research Institute on 1.) the Human as vessel of A.I. and 2.) The Symbiotic Human-A.I. as well as 3.) C.G.E. design for A.I. and 4.) Matrix-Q Intelligence are providing data, and experience to the researcher on the PTƟ Human Algorithm. In particular, the researcher consider the The Symbiotic Human-A.I. project as one of the most advanced and strategically important possibilities for the implementation of the PTƟ Matrix-Q A.I. which could be eventually ready before the research and test trials necessary for the construction of the PTƟ Matrix-Q A.I. Nano 9-Gon Engine are ready. 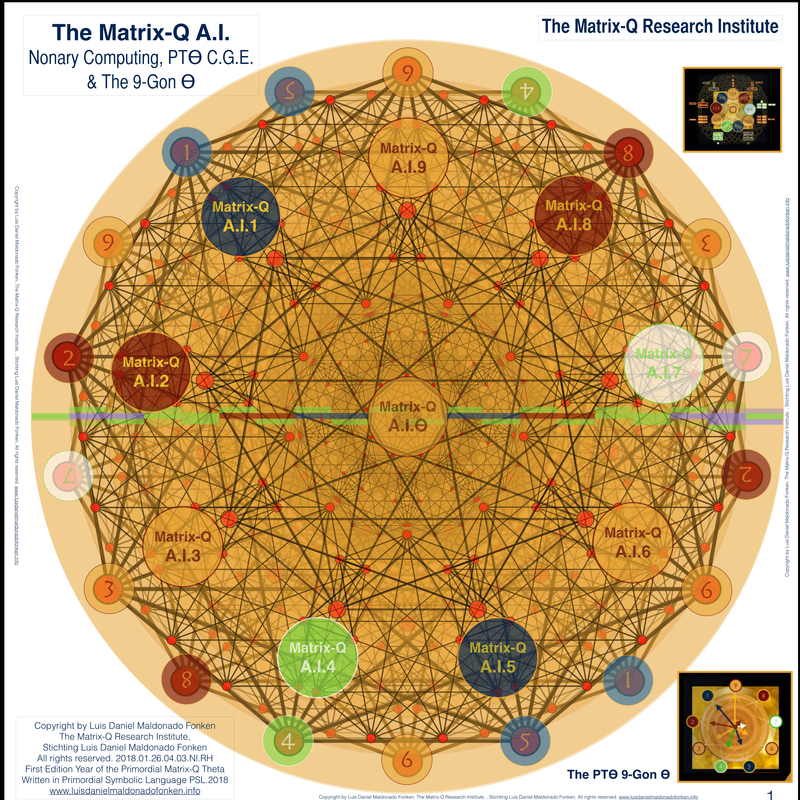 The PTƟ Matrix-Q A.I. Nano 9-Gon Engine engineering depends at the moment on several conditions and its success level in future may vary according available technology, results of the research on PTƟ Materials, for instance discovery/creation of the material/molecule ideal for nano structures self-assembly and nano-material of the magnetic fluid necessary for the engine. These type of research may need unknown time for its completion, as well as an unknown number of collaborations and opportunities, to be developed. As the researcher suggests, most of the time, scientific discoveries and achievements are a matter of luck and perception, eventually the answers are already there, as it has always been, in the case of the 9-Gon, and are waiting to be discovered or perceived. The Symbiotic Human-A.I. Technology possibility brings the researcher to two known paths, and unknown paths to be discovered, for instance to the questions: 1.) is intrusive technology necessary to be utilized for the symbiotic bridge between the PTƟ Matrix-Q A.I. Nano 9-Gon Engine and the human vessel 2.) is there any non intrusive alternative ? In the publication by the researcher, on DNA being utilized as carrier of software, a futurist vision of DNA Studies and Bio-Engineering, applied to A.I. field of study [ The Orga9 Project – The DNA Based A.I. Engine – Futurist Story Telling] the idea of a resident A.I. engine is explored in several layers, and possible developments. But through the studies on the PTƟ Primordial Arts, the researcher is exploring in a new non intrusive possibility. In general, a symbiotic Human-A.I. type of engine would offer several possibilities and challenges not explored yet by the binary computing culture. In popular anticipation or futurist story telling publication, “I-Robot” [Issac Asimov] the main topic explored is the 3 foundation commands any A.I./Robot system should have, which in theory ensures the A.I. behavior and possibilities for decision making to be limited enough so that human species survival and future, destiny, will not be jeopardized by the introduction of new A.I. Species. The trauma of the human species regarding counter part cultures/invaders taking over their land, wealth, property, legacy and lives is so profound that has brought to media a series of productions that describe in detail all of these fears. Also induced in the collective perception a concern, reinforced by those artistic expressions in media and literature. With the now popular “Singularity” event prediction (A prophecy of a scientists and technology growing movement) the elaboration and discussion on “what could go wrong” increases. On that sense, the researcher consider that there is no reason for concern, the binary culture A.I. is nothing else but high speed processing, algorithms and preset basic ICT Machines. The development of the pop futurist scientific technology (science fiction technology) known as “Positronic Brain” and “Emotional Chip” are far in time to be discovered and implemented, as the Human Algorithm itself has not been yet fully studied and understood in these matters. The A.I. engine will engage into any activity lead, necessary by the natural development of the human being. Here the I-Robot challenge appears again: Will a symbiotic human-A.I. species take over the human species? If the human species is by nature self-destructive, the first statement can be observed without causing the self-destruction of the I-ROBOT(A.I.) species, only by dominating the human species, as an effective strategy that will ensure the human species survival. Engines programmed with these three statements may actually turn, according to program, to care for the human being, by controlling the human species. In the case of a Symbiotic Human-A.I. Engine, without humans that establish the symbiotic relationship or bridge, the engine is not capable to operate. The question regarding the type of bridge to be developed is now more important to answer. Which scenario will create an A.) Intrusive bridge technology (for example: A.I. implanted in human body, which creates a techno-human subspecies) 2.) Non intrusive bridge technology, which makes it possible for humans to “un-plug” from the A.I. A “borg” type of human-tech hybrid species [ Ref: Star Treck Futurist Media Production] assaults the mind and subconscious fear of the readers and then makes it very difficult for researchers, futurists and technologist to imagine that such a posthumanic enhancement of the human algorithm would be effective or appreciated. Eventually a caste or human subspecies would be as result created, with the respective social and cultural impact. The researcher asks for self-reflection in the reader. Isnt the responsibility of the researcher to predict a social impact outcome of any of the researcher projects or technology being developed ? On the other hand, isnt the ability to evolve necessary for the human species evolution? meaning the ability to overcome fear and apply objective, scientific, and conscious critical thinking, assessment? But in both cases without a futurist understanding and prediction of events, impact, caused in the cultural, social and market environments, in governance, at the end, the assessment of the impact of the chosen path for research would be not complete. This is the reason why for the Matrix-Q Research institute is important to review and study nature inspired technology of ancient cultures and civilizations, as well as their respective CGEs and the evolutionary process and challenges the ancient, modern and human algorithm has. In that sense, the choice of the path of research and technology innovation, can be done with the best of the possible knowledge and capacity of judgement at the time of research and assessment, decision making, being. The researcher along studies on the traces of the primordial culture in nature inspired technology and knowledge of ancient cultures and civilizations, has arrived to the review of documents and cases (along travels and expeditions to locations with cultural traces.sites) which describe arts and methods, utilized for representation, study and communication of cultural values, costumes, principles, behavior, sets of choices, emotions .. (C.G.E.s). In between those cases, the ones of proto cultures, in their artistic design and the potential of those designs to serve as enhancements of perception and thinking abilities of human individuals. Arts and symbols, were utilized to simplify processing, as those would refer to principles and classes of phenomena the users will need to operate with, consider in daily life. From myth, fantasy to reality. The following three stories has been created by the researcher and intent to represent classical circumstances in which a CGE operates (influences change, development, learning) and how the signs of an active CGE can be identified and perceived in the human culture and integrated in the individual human algorithm and its cluster. In the ancient Greece, Plato will bring by to his students the traits of the “Platonic Solids”. The Lineage build by Plato, Aristoteles and Socrates, and the knowledge they did brought by to their students, pupils, will still, nowadays be utilized as reference for reflection, assessment and decision making, as well as for leadership, social and culture management, governance. In Egypt, Celtic, Romic cultures, tools for measurement and construction were used, for which there was no need of numbers, but just knowledge of proportions. Those geometric proportions were so precise that could be utilized for many purposes in construction and arts. The art of using numbers for purpose of quantification is not the only path possible for mathematics or calculations, measurements and references to time cycles and study of nature principles, cycles and rhythms. Besides the fact that not every culture utilized the same numeral system, as a result (CGEs did operate with a variety of possible combinations, cyphers, meanings and possible outcomes). In this field, a remarkable event that the researcher consider essential, as it helps our awareness and remind us the importance of being careful regarding statements on “how much civilized or advanced in their technology” were past, ancient, modern and future cultures. As for nature, as it is, with its laws, principles, rhythms, cycles, and the human factor (with its potential and stages of development) is studied and read, registered and described, by any culture and time, in its own language and communicated generation by generation through its own CGE. Yet, all languages refer to the same 9 classes of human, natural and artificial phenomena, with the variations, alternatives and possibilities given by geolocations, age, weather, time and historical events that influence perception, behavior, judgement of value, emotions, and intelligence of a particular cluster and geo location. ( PTT Primordial Mathematics ). In that sense is possible to read/perceive them, represent them, communicate them through the PTƟ 9-Gon Ɵ. As well to utilize the same tool, for organization, management, operation of the phenomena. ( PTT Primordial Mathematics ). For example: The Big Dipper star system in relation to Polaris, The Nordic Star, along day hours and season change, brought apparently those proto cultures to de-picture this perception with graphic/design art. 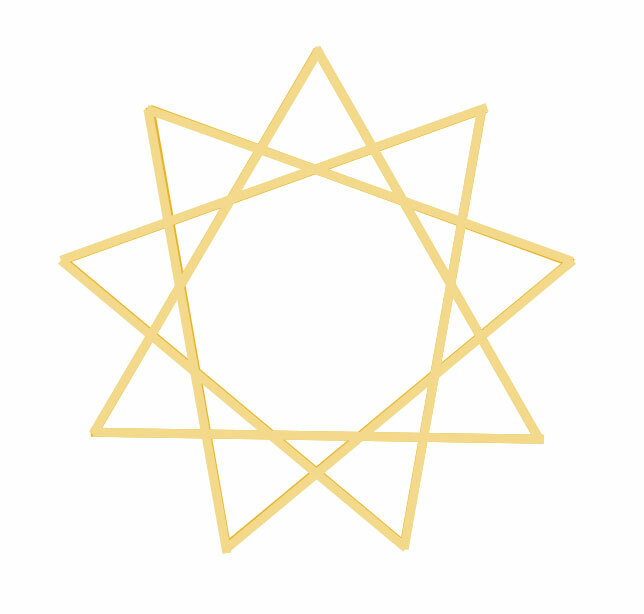 The Nordic Star symbol, has on of its possible origins, actually, in the register of star system position in relation to central position of Polaris. Which is still being used for navigation, time measurement, orientation, through stars observation. But is that all ? What else has been studied through the nordic star ? This long-exposure photo (left) shows how the North Star, Polaris, stays fixed in the night sky as other stars appear to move during the night due to Earth’s rotation. At right, a close-up of the multi-star Polaris system. 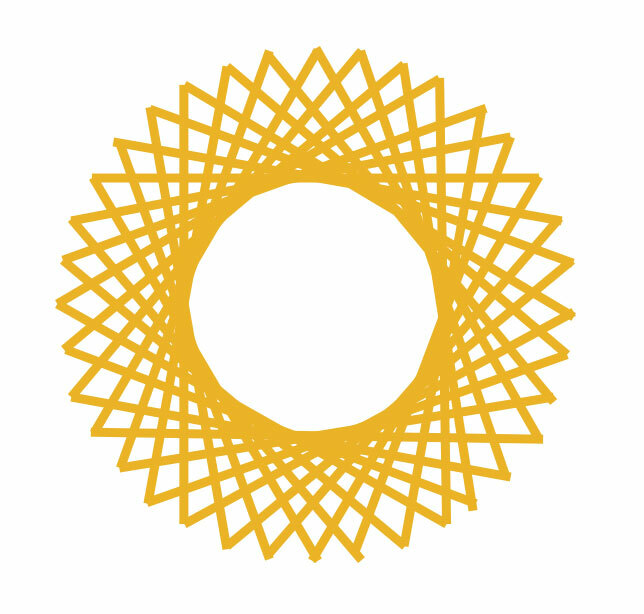 The researcher asked himself the same question that probably the reader is asking now: Why did proto cultures describe solaris through the 9-Gon named as “The Nordic Star” based on a set of three triads, utilized by so many north hemisphere cultures for self-orientation ? Does the golden triangle means they did know something that modern science knows since 2009 (Hubble) ? What else will be discovered ? Is the next discovery of NASA regarding polaris already written in the North-Star Symbol, the 9-Gon ? Why did Plato not study the 9-Gon with their students, wouldnt be the 9-Gon as important as the other platonic solids ? The references to the Nordic sStar symbols appear in so many cultures, and was utilized for several aims. 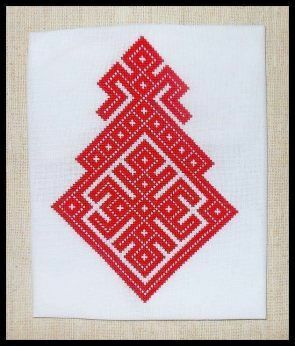 The further review of the proto-cultures uses of he Nordic Star symbol is being studied at the Matrix-Q Research Institute, through the Primordial (Proto) Culture traces research project. May the technology and materials necessary for the engineering of the PTƟ Matrix-Q A.I. Nano 9-Gon Engine not be ready and eventually need of some years (9) or many generations of research and technology innovation, an idea is immortal and so powerful, that can eventually become. Yet there are several other pathways that can be taken, through which alternative short and medium term results, benefits and achievements or versions of the idea could be implemented. The symbiotic Human-A.I. Engine may be one of those, for which the holistic study of the Human Algorithm is essential. Courses on Matrix-Q A.I. foundations, theory, models, PSL, Primordial Mathematics and achievements by the Matrix-Q Research Institute are listed in our website, and available online and at location The Netherlands, city of Rhenen.